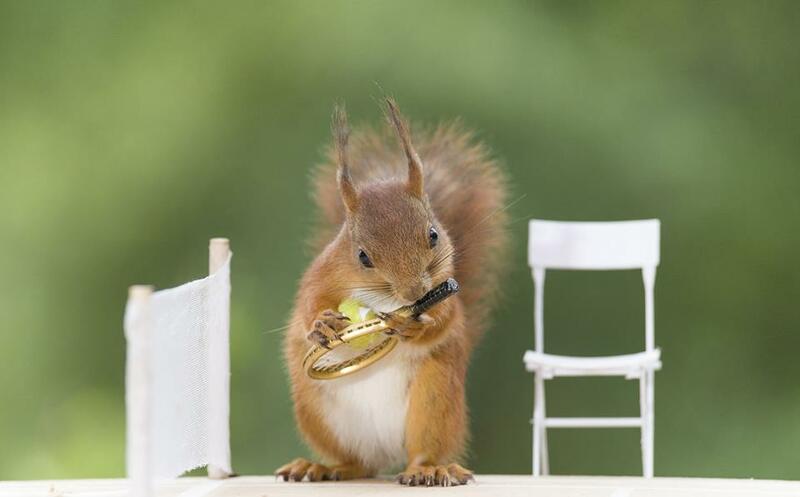 As world tennis fans tuned in for the 132nd Wimbledon championships which kicked off on Monday, Swedish animal photographer Geert Weggen has captured wild squirrels warming up for the game. 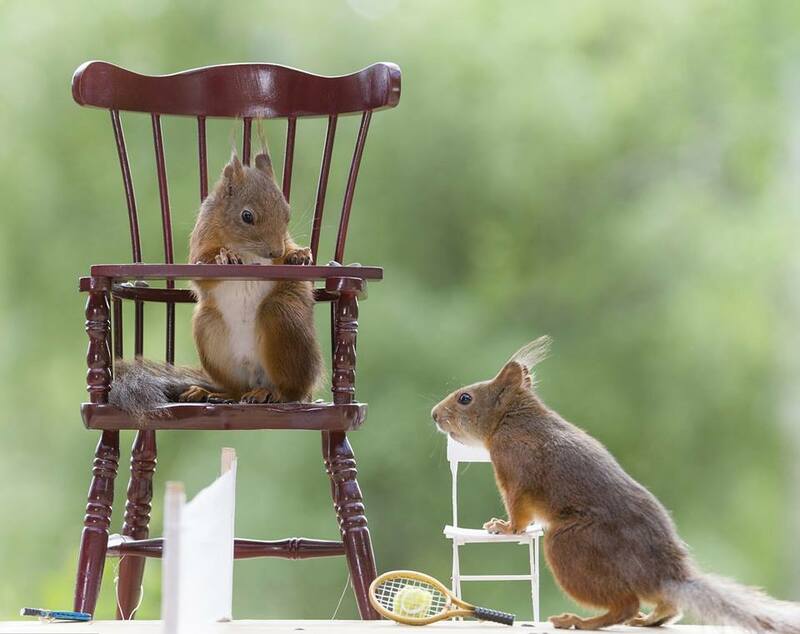 The cute rodents may not be professional tennis players, but when they appeared at Weggen’s backyard and saw the miniature court set up by the photographer, the pair grew curious and picked up the rackets. 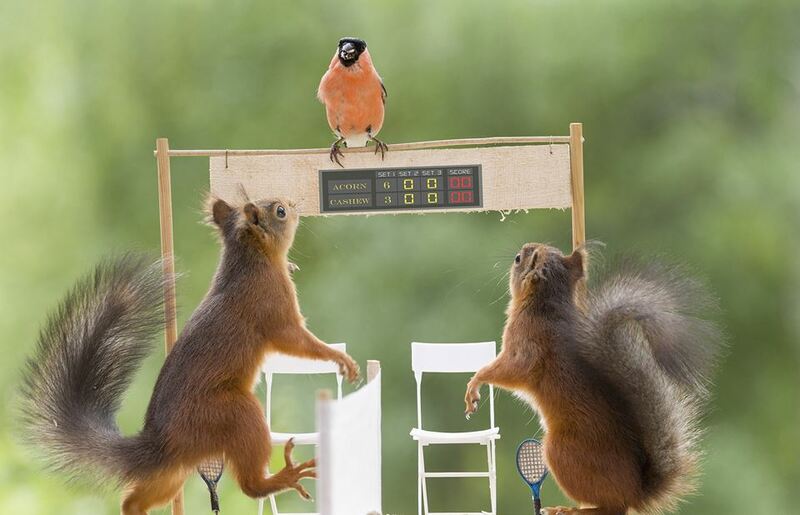 During their game, an unexpected guest bullfinch joined and appeared to take on the role of umpire. 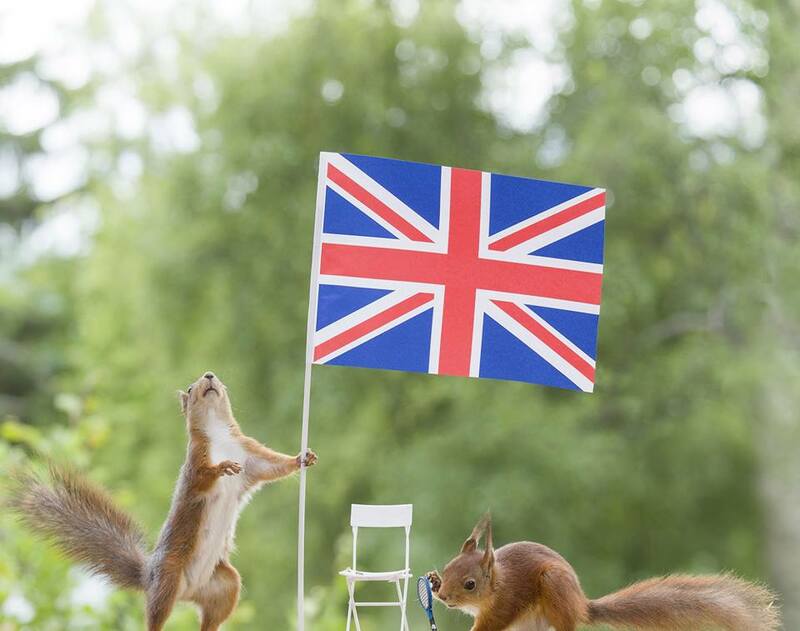 Weggen captured the funny moment when the red squirrels cornered the bird as if two unhappy players arguing with their umpire in an actual game.